In 2005 when Christine Hajek founded Gentle Giants Draft Horse Rescue, based in Mt. 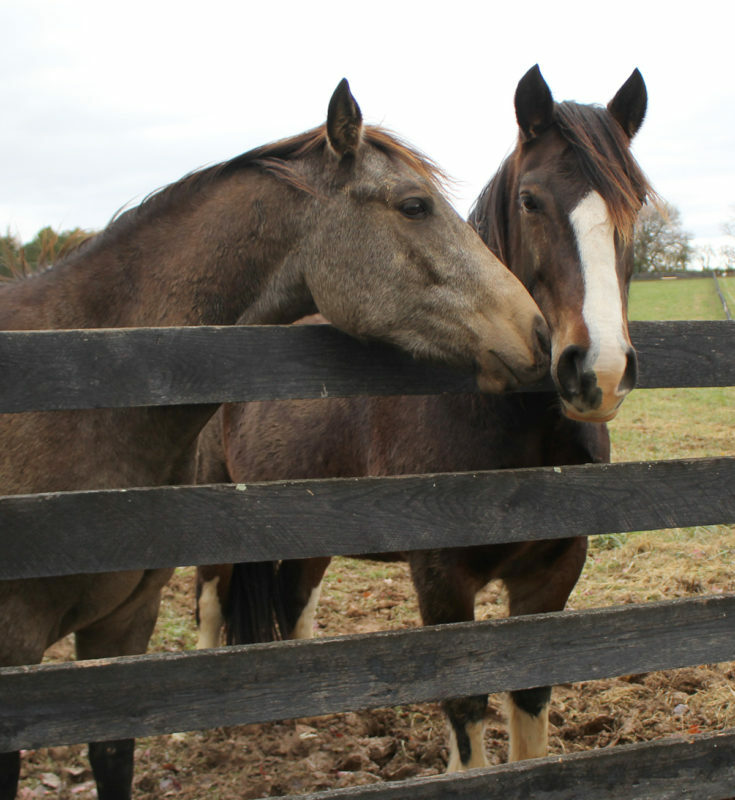 Airy, her primary goal was to rescue, rehabilitate and re-home draft horses. The 501(c)(3) non-profit organization has grown from one horse to over one hundred, and this summer, expanded its operations to include a new 105-acre farm to be used as a sanctuary for those horses not able to be easily re-homed. Fast forward to Easter Sunday this past April when Christine and her husband Jamie were on their way to a friend’s for breakfast. “We saw this small sign that said ‘105-acre farm, price reduced’ and I couldn’t figure out where in the area that farm could be located,” she said. Turns out it was New Horizon Farm in Woodbine, just down the road from their original facility. “When we came to take a look, Jamie was sold and loved the place. I wasn’t too thrilled and really couldn’t see us living there,” Christine explained. “But then I woke up the next morning thinking we would be kicking ourselves in a year or two if we didn’t at least make an offer.” Their offer was accepted and the closing was in June. The first few horses moved in by the end of the summer with three large pastures being usable. 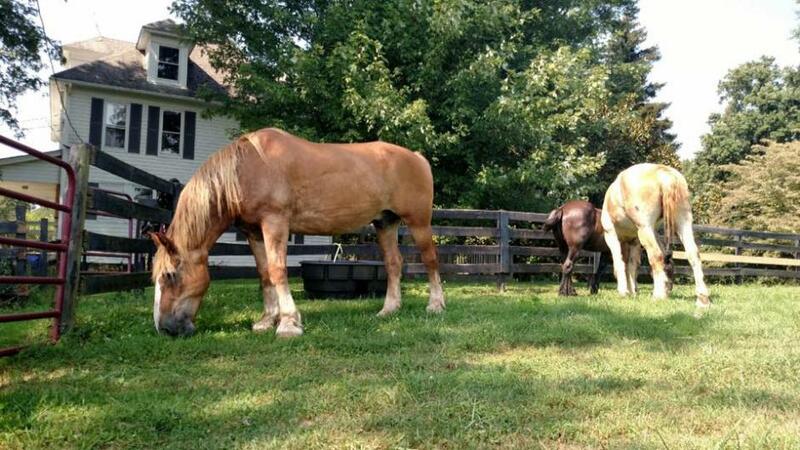 A few weeks later, two more pastures were opened up and now there are 15 horses housed at the sanctuary. “About one third of our current population are considered unadoptable for one reason or another,” Christine explained. “Typically it is because they have some health issue that is not easily taken care of or are not rideable. This location is for them to live out their days.” Gentle Giants is keeping their Mt. Airy location as the training and adoption center. In addition to Gretchen, one of Gentle Giant’s California donors set up a matching grant, which helped raise the funds for the down payment on the sanctuary. “Matching funds are great because people feel that their money doubles and we were able to raise much more than just the down payment,” Christine stated. The next steps for the sanctuary are already in motion, with the cornfields replanted with grass. Fencing for three very large pastures should be completed this winter, with run-in sheds in each. Come spring, 40 horses will be housed at the sanctuary. “We are so very thankful to the Mobberley family and all of those who donate to us. My five year goal is to open another sanctuary in the Mid-West!” Christine said. 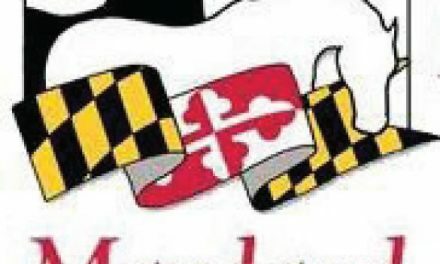 Christmas 2016 was good for Maryland Horse Industry: 23% growth!